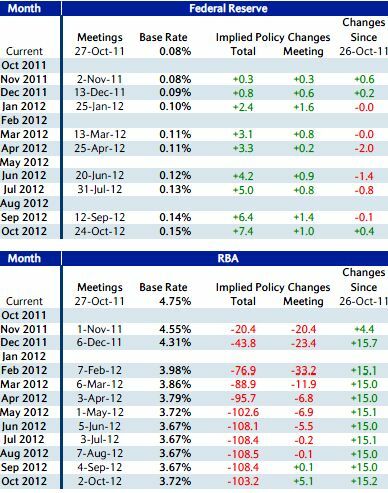 FOMC, ECB, RBA Meetings: What is Priced in? The Federal Reserve, European Central Bank and the Reserve Bank of Australia have monetary policy meetings scheduled this week and some investors expect these central banks to change monetary policy. Here’s what the market is pricing in according to interest rate futures. 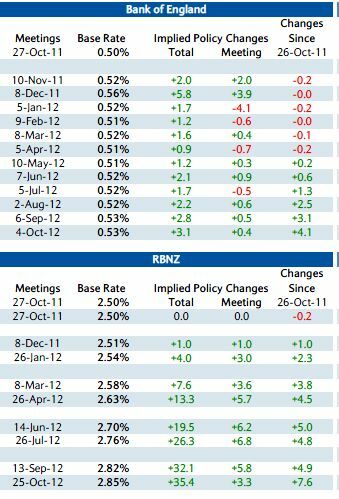 You can compare them with the Central Bank expectations back in September. 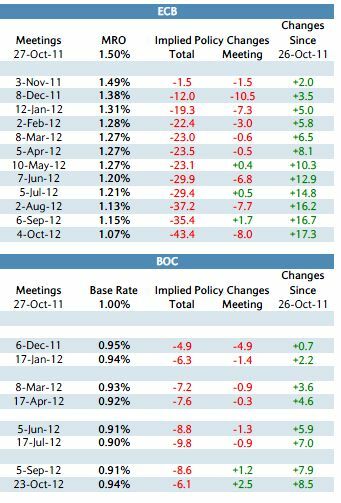 What is interesting is that the market does not expect the ECB to cut interest rates this year even though many economists predict a 50bp cut in December.